“The babe with the power” now works at Laika and is screening a new goblin movie of his own making. He tells us about growing up surrounded by faeries, and what he did to David Bowie the first time they met. Toby Froud is the most famous baby in cinema—on par with the naked boy on Nirvana’s Nevermind as the world’s most famous baby, period. He played the baby in the striped onesie, also known as “the babe with the power,” in the cult-classic Jim Henson fantasy Labyrinth, where he’s kidnapped by the goblin king (David Bowie, in the most fantastical mullet and tights so tight they must require magic to get into). As you no doubt know, the rest of the movie follows his sister (a young Jennifer Connelly, who beat out Helena Bonham Carter, Sarah Jessica Parker, Marisa Tomei, and Ally Sheedy for the role) as she journeys through an enchanted maze of goblins, faeries, and talking dogs who ride dogs to rescue him. Meanwhile, Bowie tosses Toby about and sings “You remind me of a babe.” Not exactly the kind of life I'd give up for a boring crib in the real world, but I digress. Turns out Toby is the son of Brian Froud, who designed the characters and worlds of both Labyrinth and The Dark Crystal, as well as the faerie and goblin art that reigns supreme for lovers of the genre. Now 30, Toby is a puppeteer in his own right. For the last four years, he’s fabricated puppets for Laika, working on ParaNorman and the upcoming Boxtrolls (watch the trailer). 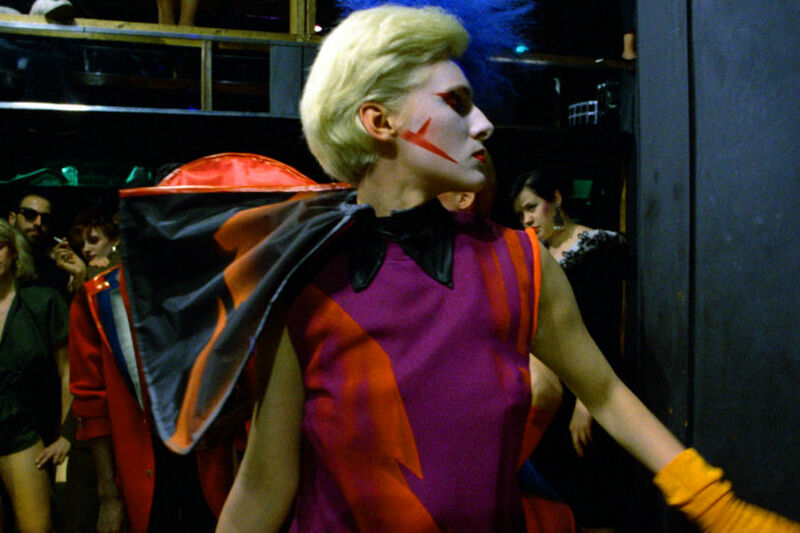 It will screen again at the Portland Film Festival at the end of August. Watch the trailer and Kickstarter video for the film at the bottom of this post. Because we couldn’t believe that baby Toby grew up to move to Portland, I called him up to ask the important journalistic questions: what was it like to gurgle in a duet with David Bowie and grow up in a den of goblins. On the Town: So it’s unlikely, but I have to ask: any memories from the filming process? 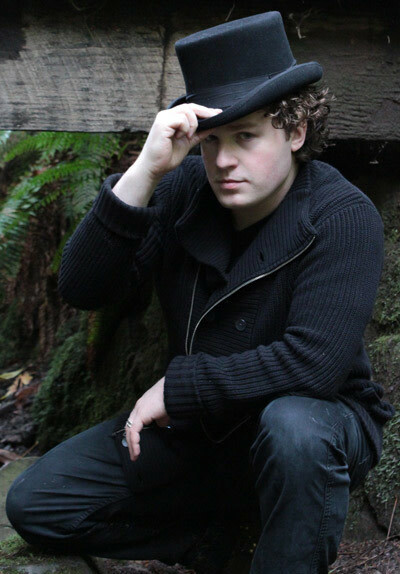 Toby Froud: I can never say if I did or not. I have vivid memories of goblins’ faces and strange creatures and chaos around me that could just be from growing up in the house I lived in, or from seeing the film as many times as I have, or it could be remembering the puppets that were in front of me. I’m not sure. The interesting thing about Labyrinth or Dark Crystal: I grew up loving them and being a fan myself. I never had this weird feeling that that’s me on the screen. I knew the style, and the characters were very familiar to me. Growing up in my parents house in England, it's full of paintings of creatures and three-dimensional sculptures of these wonderful fantasy—and very real—beings. Many of my friends were always very surprised when they came over to play. Tell us about your parents, because, in a way, you were raised by goblins, or at least goblin makers. [Laughs] I was. My parents, Brian and Wendy Froud, are synonymous with faeries and goblins and fantasy and have created such magical worlds. What was the exact nature of their contribution to Labyrinth or The Dark Crystal? 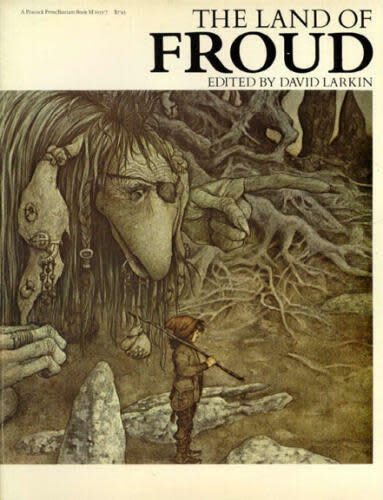 Brian Froud was brought on to The Dark Crystal after Jim saw The Land of Froud book that my father had done. 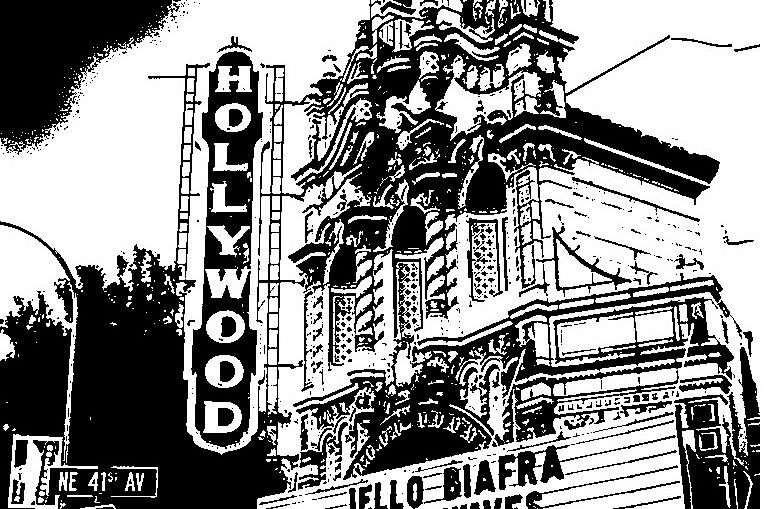 He was brought on to collaborate and design the world you saw on screen. He would draw, paint, and create these characters from different angles. Jim and the crew would come to my father with puppet ideas, how puppets could move and perform, and my father would design around that movement, or vice versa. Again on Labyrinth, he designed the characters and creatures and landscape for that. So you grew up surrounded by these characters. What was that like? You must have had the most amazing Halloween costumes. It’s a small house in a small town in England. It was all very quaint. We certainly would dress up. Halloween was always a smaller affair in England. We always made an effort to make as fun of costumes as possible. I still continue that at Laika. We have a Halloween thing every year and I like to go all out. Laika, right. You didn’t rebel and become a banker. Take me through your interest in following in your parent’s footsteps? I always had a wonderful passion for puppetry. I went to Wimbledon school of London, a tech university, and did a special effects and arts degree. But I always came back to the fantasy that my family had created. At that point, we started working together on small projects, video pieces and commercial pieces, and it was great fun. And you’ve worked at Jim Henson Studios? I was fortunate to go and intern there many years ago when I was in New York. I’d seen it from the outside, but to be with the professionals who built the puppets, it gave me a wonderful sense of the inner workings. How did you end up at Laika? It must be four years ago. It was at the very beginning of Paranorman. I was teaching a workshop in Portland, and someone in the class said you should get into contact with the puppet supervisor at Laika. So I did, and came in with my portfolio, and I got a job and have been a puppet fabricator ever since. I moved onto Box Trolls and am now working on the next project. Being in the industry, what affect has being the baby from Labyrinth had? An interesting one. I don’t know that I tell people myself, but people find out and will whisper, “are you the baby from Labyrinth.” And I say yes. It’s a very interesting talking point and conversation opener. It has allowed me to meet the amazing artists and people I have in my life. Do people gush to you? How fanatical are they? 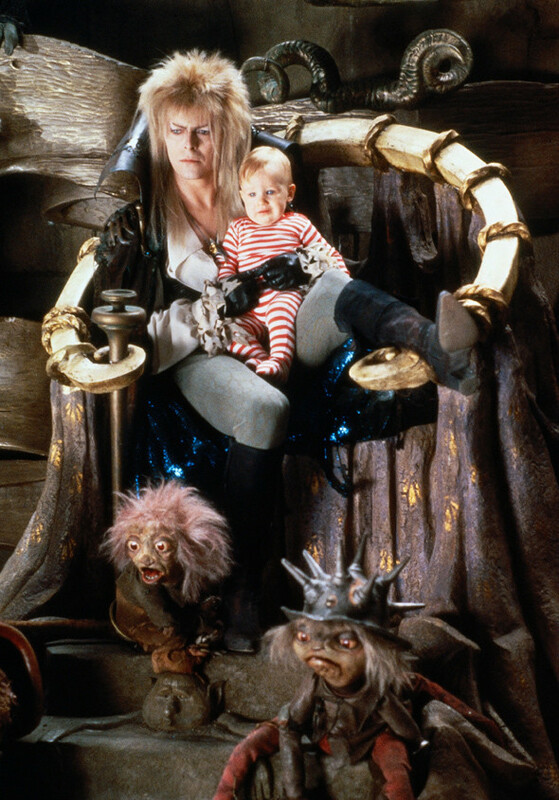 Labyrinth, and The Dark Crystal, particularly, people say, “they inspired me as a child and as an adult to become an artist, a puppeteer, to build worlds.” People say how much they love them and how their kids love them. That’s the amazing power that they have: they’re still in people’s minds. Have you met David Bowie since? I wish I had. I grew up a huge fan of his music—and knowing I sat in his lap! I believe the first time I met him, I peed on him, but I haven’t met him since. Let’s talk about your film Lesson’s Learned? How’d it come about? Heather Henson commissions artists and filmmakers to create short puppet films or acquires films to present under her company, Handmade Puppet Dreams. My parents and I had an art show at AFA Gallery in New York over a year ago, and she saw it and we spoke and she gave me a grant to start. Straight off I knew that if I’m going to do this, it’s going to have to be in the style I love that people haven’t seen in a while from us—to have the younger generation of Henson and Froud come together. June 21Then I went away and wrote the story and designed the characters and world. In July, we ran a Kickstarter. We asked for $25,000 and it ended at $52,000. 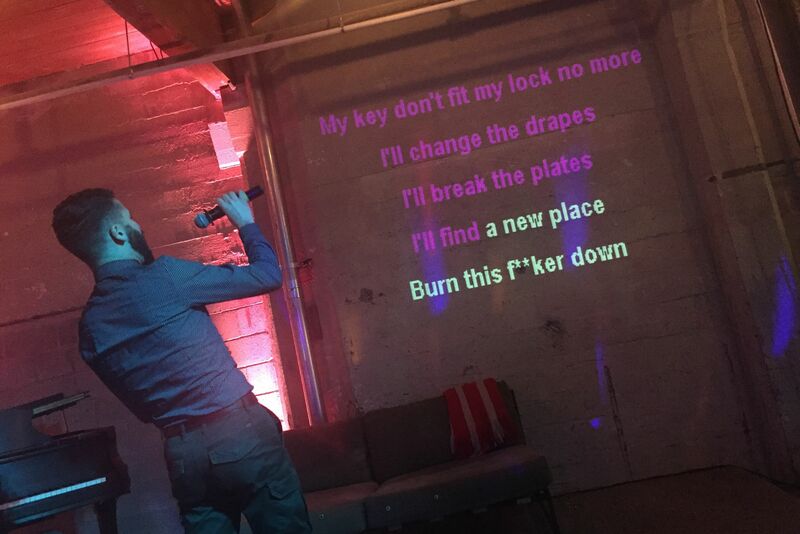 I rented a warehouse in north Portland for three months. I had an amazing team of 30–50 people come together at different times to build sets and the puppets and work tirelessly to create special effects. We had an old school way of going about them—cable control puppets—as much physical elements as we could, although there’s also one green screen set. It was amazing—absolute chaos. It all happened with those people because they believed in what we were trying to achieve, and the heart behind it to bring these characters and the Henson and Froud style to fruition again. I’m amazed and honored to have done this. And also I’m excited for the future. The idea is to do more and delve into worlds like this and create even bigger and more amazing pieces. Read our recap of Lessons Learned's world premiere. A note to end on: What was your favorite song and favorite scene in Labryinth? My favorite song: many might think it’s "Dance Magic," but actually my favorite song is "As the World Falls Down" from the ballroom scene—a very dream like song as part of growing up, I feel. My favorite scene is the Oubliette: when Hoggle shows Sarah the way out, he puts the door on the wall and opens it one way and it's a broom closet. He closes it and opens it the other way, and the tunnel through to the outside appears. It really is a wonderful piece of live action timing, done right in front of the camera. It may seem like a small part, but I just love it. What’s your favorite song and scene? Vote on the best song, and enter your favorite scene in the comments section below. What's your favorite song from Labyrinth? 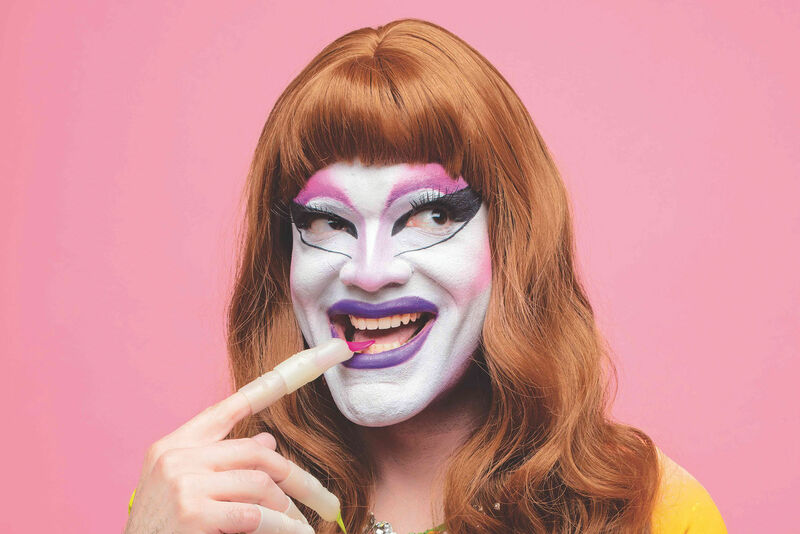 Jinkx Monsoon, winner of RuPaul's Drag Race Season 5, dishing on her fellow queens, fighting to be taken seriously, and growing up in Portland.